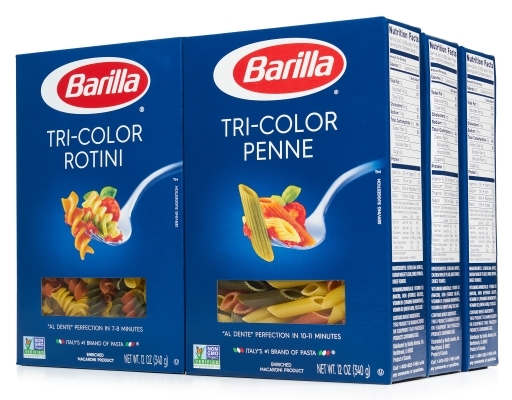 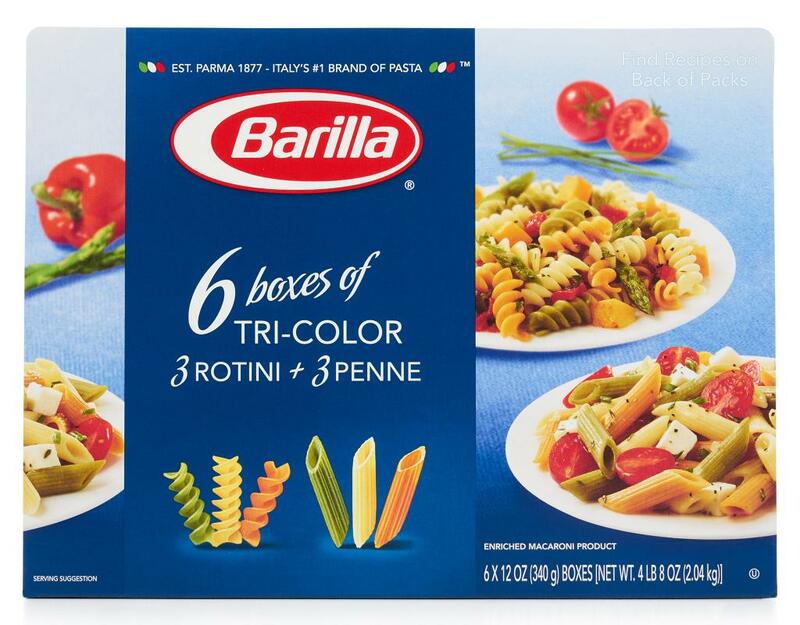 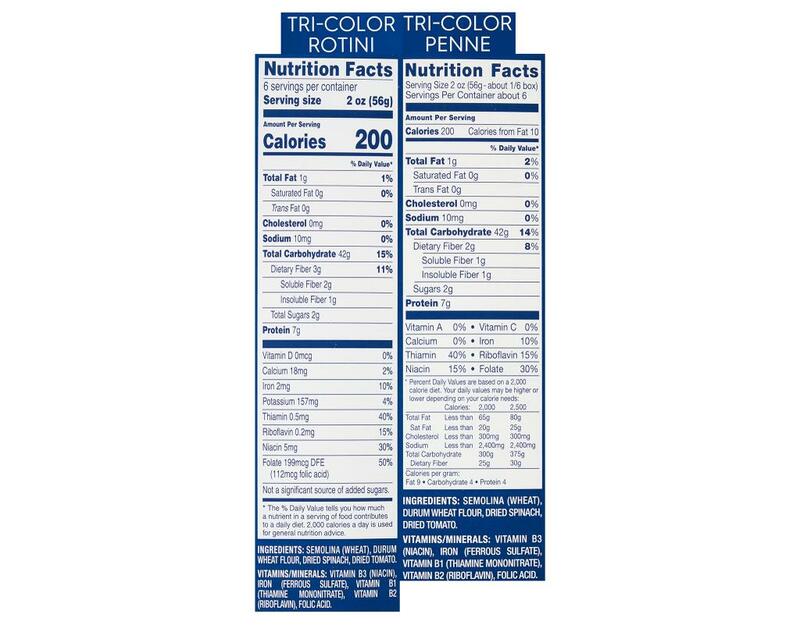 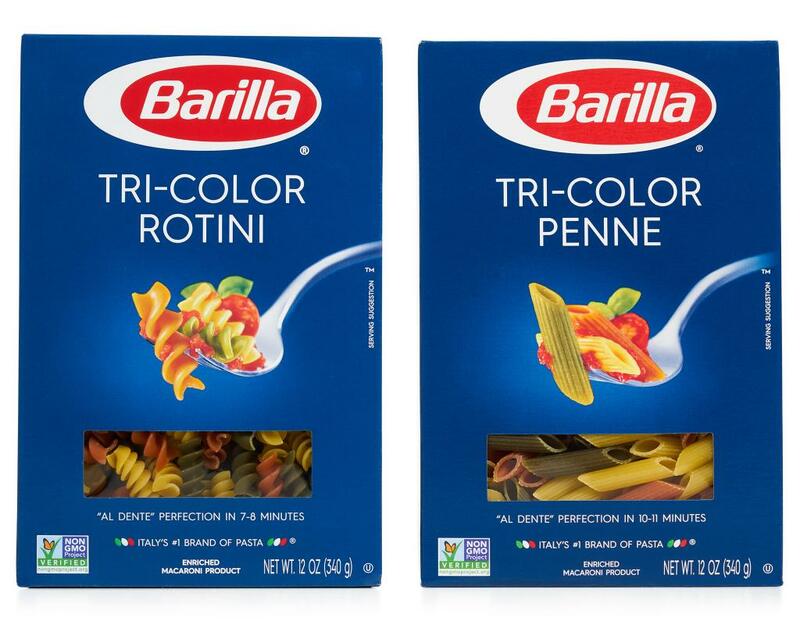 A colorful version of a pasta salad favorite, Tri-Color combines Barilla's semolina with delicious spinach and tomato pasta. This colorful pasta is a favorite for pasta salads, but also goes great with many different sauces! 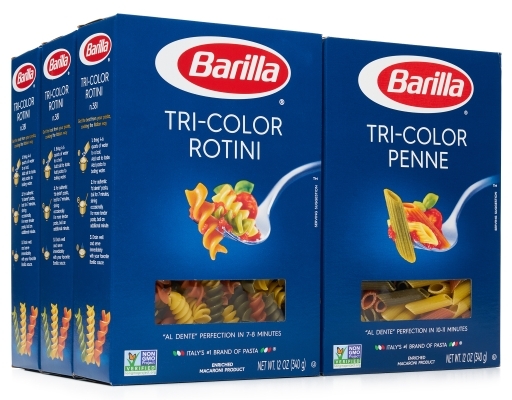 • Rotini means "colorful twists" and are two-inch lengths of thick screw-like pasta from Northern Italy. 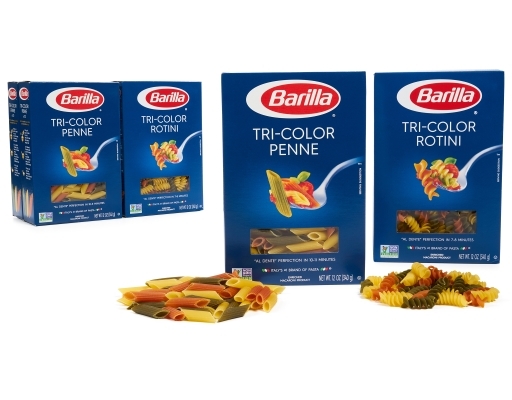 The shape was inspired by children, since they are fun to eat and pair well with a wide variety of sauces. The twists of Tri-Color Rotini allow it to hold more sauce, and may be enjoyed in your favorite pasta salad dishes or paired with tasty tomato-based sauces. 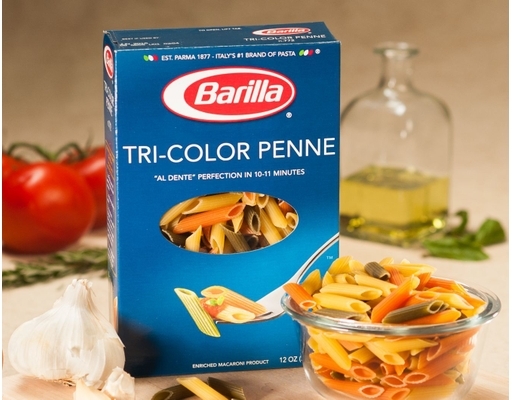 • Penne means "pen" in Italian, gets its name from its shape. Their tube-shape with angled ends was inspired by the quill of an old style ink pen. 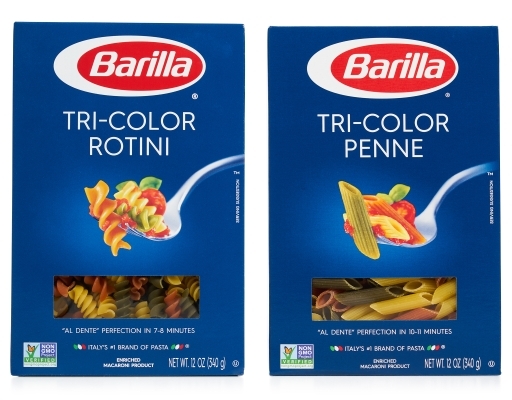 The large diameter and ridges of Penne make it ideal for retaining sauces, inside and out.